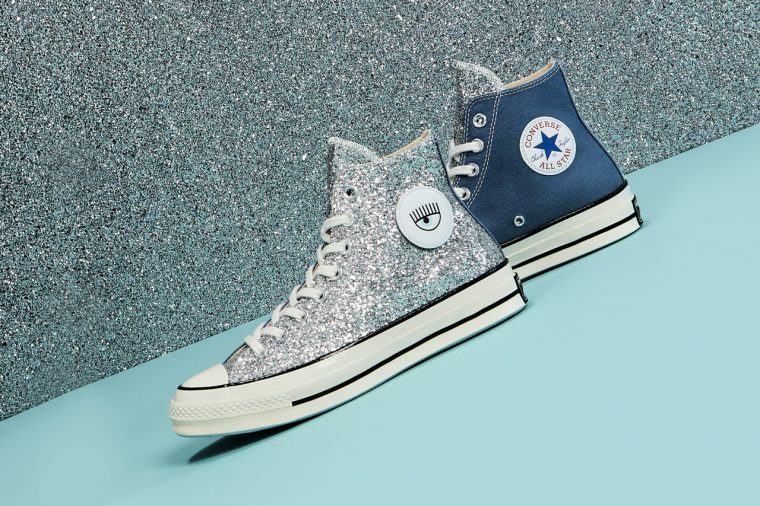 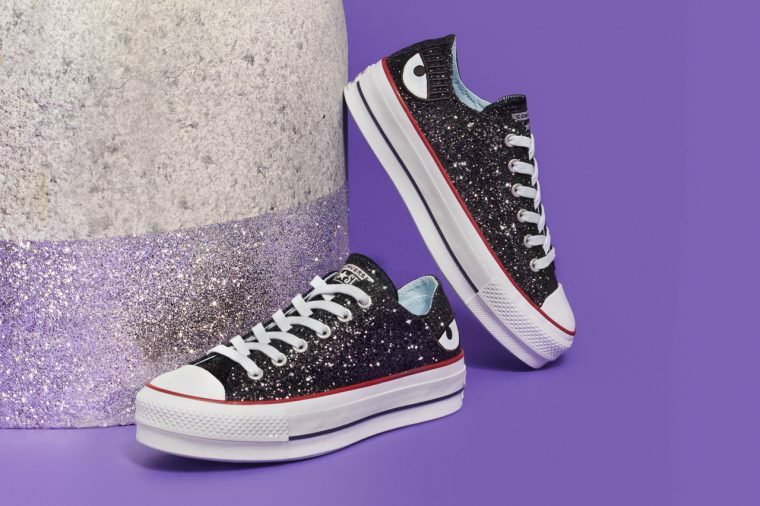 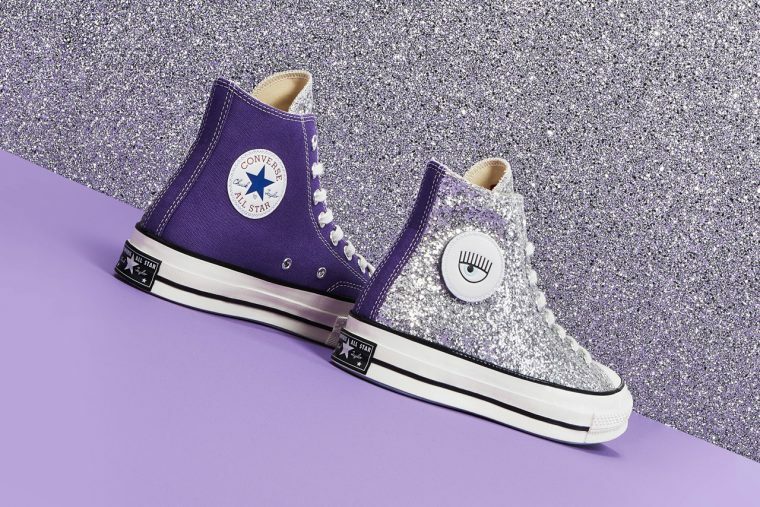 Complete with quirky detailing and glitter a-plenty, Chiara Ferragni is back for a brand new capsule collection with Converse. 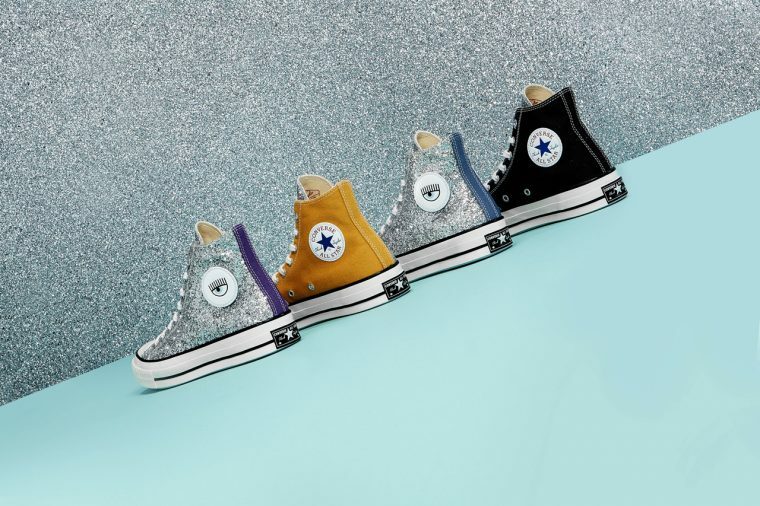 Arriving just in time for Christmas and New Year, these sneakers are certainly party-ready. 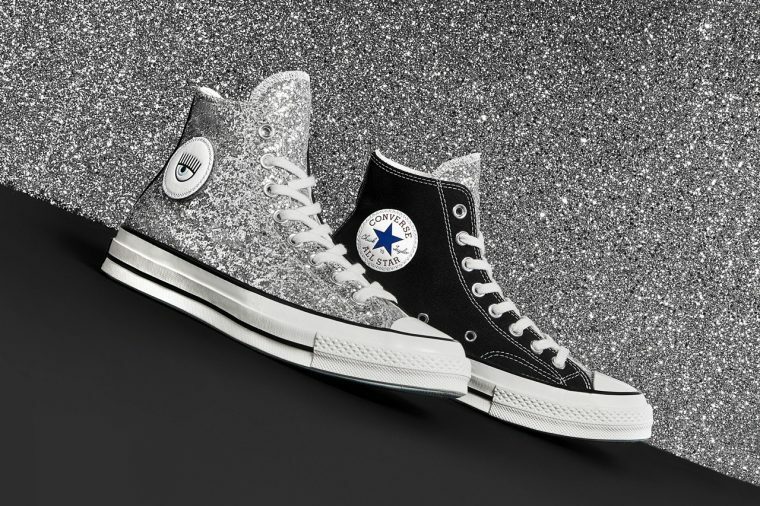 The first pack includes Hi and Low Top sneakers covered in silver and black glitter, while the second pack features a split upper, combining classic canvas and Ferragni’s signature glitzy aesthetic. 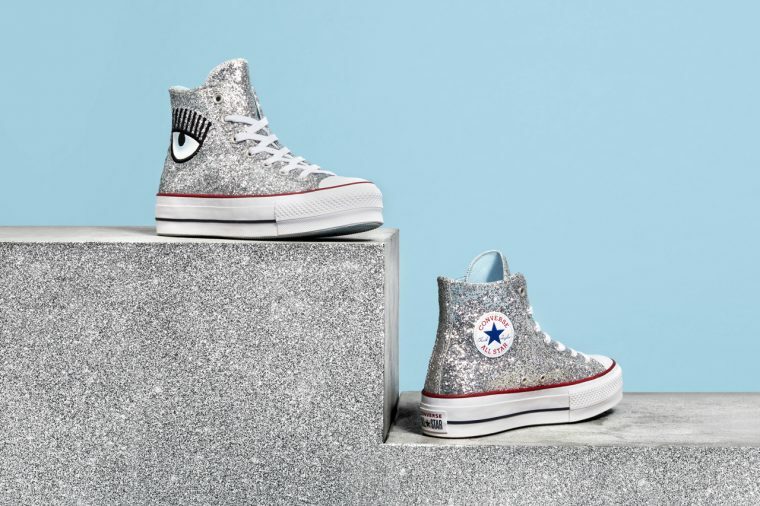 A statement Chiara Ferragni eye logo also features across each pair, representing the Italian designer’s influential style. 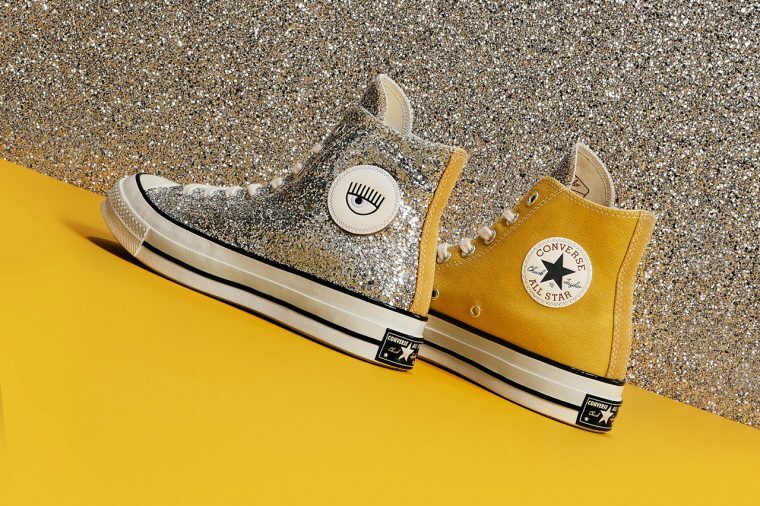 The Chiara Ferragni x Converse collection is launching on November 8th at Converse. 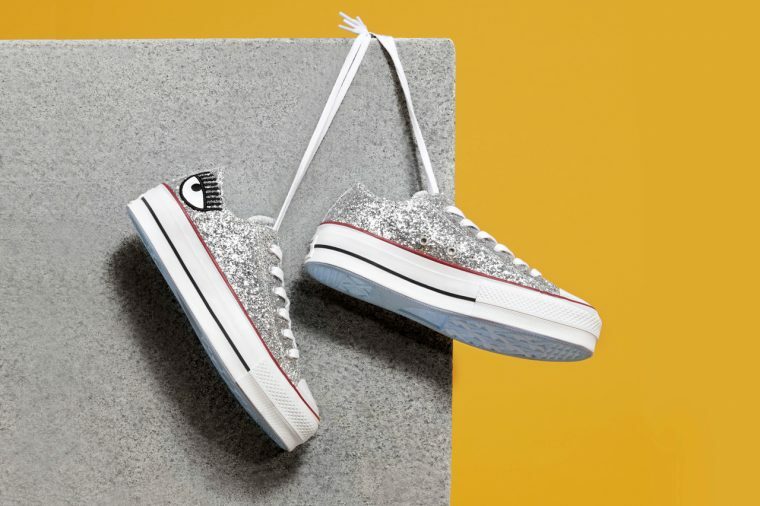 For more glamorous sneakers, be sure to check out our favourite glitter adorned sneakers to rock this party season.